Our part 2 of our holiday gift guide series continues as we present wonderful individuals in the community as they share their top the top picks from Vuela. I've long admired the work of Misato Suzuki and featured her work on our blog earlier on. And through our serendipitous connections, I've had the pleasure of meeting this talented sweet artist who produces some of my fave artwork. She was born in Aomori, Japan, acquired her MFA in Claremont University and currently resides in our old city of San Diego, California. 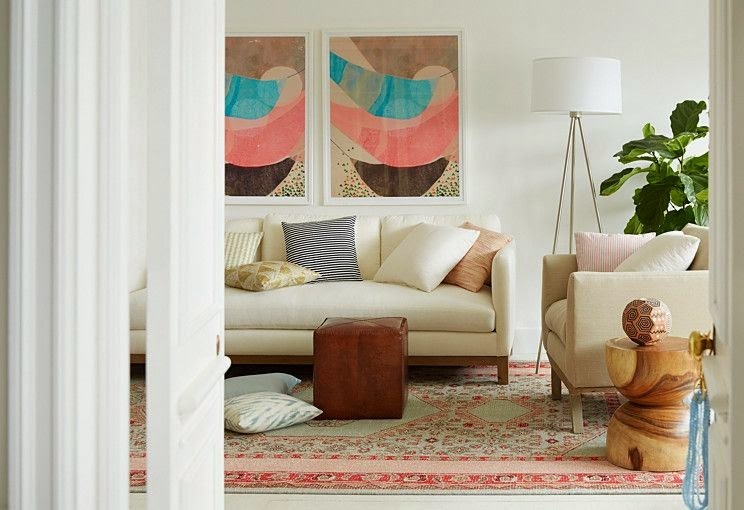 Featuring pretty colors, beautiful patterns, and textures that communicate playful whimsical themes, her work has been featured in galleries worldwide and available in One Kings Lane and Artfully Walls. 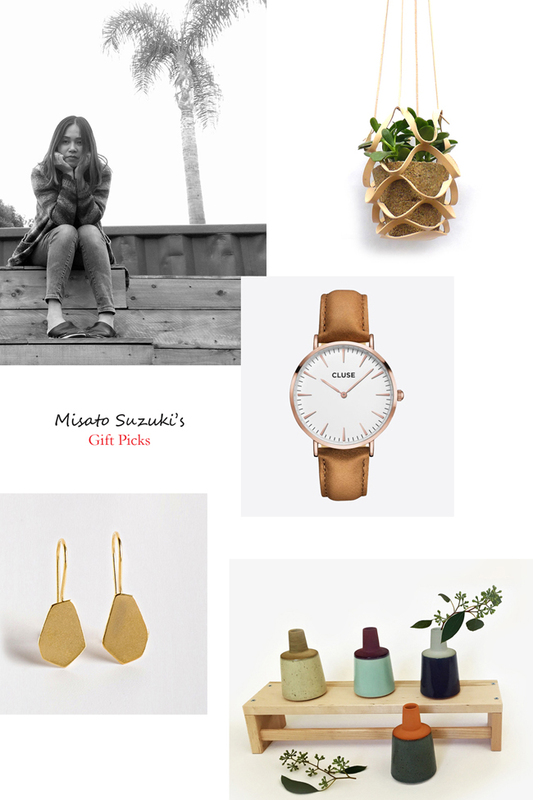 Misato's top picks include treasured finds from around the globe showcasing her love of travel. Kuniko Yagi forged a unique path to a bright culinary career, growing up in Maebashi and then embarking on a route to finance. An untrained cook with a natural artistic drive and nurtured affinity for gastronomy, Kuniko trained and worked with Chef Myers of the Michelin starred Sona. Kuniko later served as Executive Chef of Myers’ brasserie, Comme Ça in West Hollywood and Las Vegas before heading up the kitchen of the award winning Hinoki & the Bird in Century City. She appeared as a contestant on Bravo TV’s “Top Chef,” and has earned a number of critical accolades for her work with Hinoki & the Bird including StarChef.com’s Rising Star in 2010. When not at the stove, Kuniko spends her time surfing, knitting and walking her German Shepherd in Venice Beach. Kuniko has chosen beautiful and versatile essentials that we hope will become well-loved pieces for many seasons. 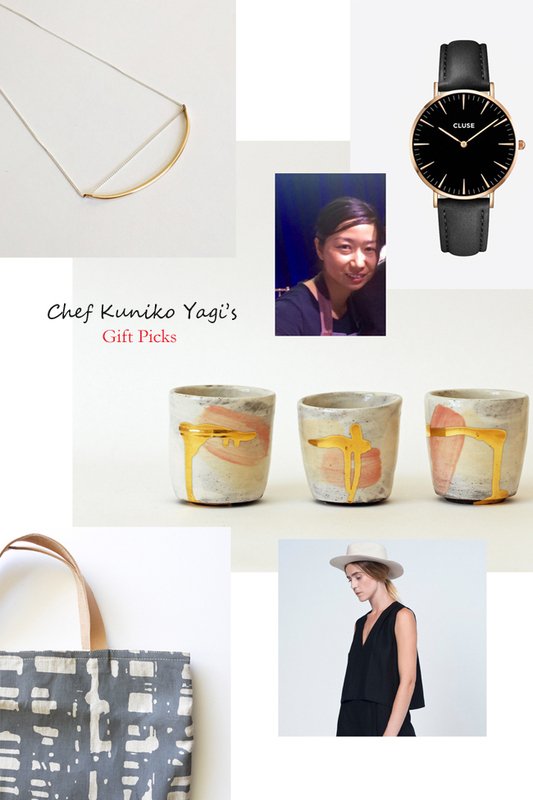 Thank you so much for participating in our holiday gift guide Misato and Kuniko! We really appreciate this opportunity to share your story as well as your lovely picks from our shop.